The raids on businesses associated with the Plutus Payroll scandal have uncovered all manner of secrets. Scahill & Co’s new business development manager, Darren Kallen. The Parramatta accounting firm raided last month as part of the alleged multi-million dollar Plutus Payroll fraud boasts a staff member intimately acquainted with the consequences visited upon accountants who pinch the taxman’s PAYG. 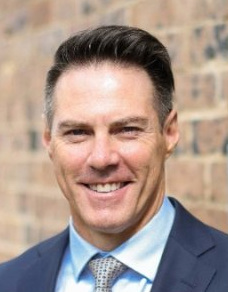 Scahill & Co’s business development manager Darren Kallen, 51 (pictured) was formerly known as Darren Allen Kay, (pictured below) one-time registered auditor and partner at Baulkam Hills district accounting firm Fleming Moynihan & Kay. In 2013 Kay pleaded guilty to stealing $5.7 million between 2007 and 2010 from one of his clients, Sicame Pty Ltd. According to a report published by The Daily Telegraph at the time, Kay under reported Sicame’s Pay-As-You-Go (PAYG) obligations to the Australian Taxation Office (ATO) and kept the rest, spending it on a Porsche, an Aston Martin, a Mercedes, property and private schooling for he and his wife’s four children. Darren Allen Kay was subsequently gaoled and served time in a minimum security facility before being released on parole on May 31, 2016, as was confirmed to SiN by NSW Corrective Services. According to Darren Kallen’s Linked In profile, he commenced employment at Scahill & Co in January 2017. The firm was raided by officers from the Australian Federal Police (AFP) in relation to the Plutus Payroll/ATO fraud scandal last month. There is no suggestion Darren Kallen/Darren Allen Kay is involved in the matters that led to Scahill & Co being raided or the present investigation of Plutus Payroll. When contacted at Scahill and Co’s offices SiN spoke to a man who identified himself as Darren Kallen. He denied he was Darren Allen Kay and hung up when questioned further. An email requesting comment and sent to Kallen via Scahill & Co’s email address with the two images attached was not responded to. Solomon would have good reason to remember Darren Kallen aka Darren Allen Kay. Sicame had been a client of Fleming Moynihan & Kay since the mid-1990s. 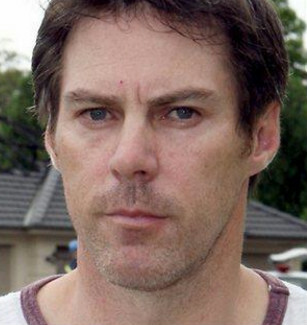 Disgraced accountant Darren Allen Kay in 2013: Photo Jeff Herbert, The Daily Telegraph. When Messrs Fleming and Moynihan retired in 2000 they left the practice in the hands of their youthful protege. All seemed well until 2009 when a director of Sicame retired and the remaining directors suddenly received a letter from the ATO demanding payment of outstanding PAYG. It was then that Solomon realised he might have a problem with his “charming and highly intelligent” number cruncher. “He told us it was a mistake and he’d fix it up,” Solomon said. But the thread had been pulled and over the next couple of years, as cheques bounced and the excuses multiplied, the relationship between Sicame and Kay unravelled. On March 3, 2012 Kay was declared bankrupt. Incensed by the breach of trust, Solomon engaged KPMG Forensic partner Mark Leishman to find the money. According to Solomon they never did but Leishman confirmed to SiN by phone yesterday that he had seen the images of Darren Allen Kay and Darren Kallen. While he didn’t say so, the impression SiN formed was that Leishman, who interviewed Kay in relation to the missing funds, believed Kallen and Kay to be the same person. A search of Kay’s name on the ASIC database shows he was a registered auditor during the period of his offending. In 2015 he appealed a decision of the Chartered Accountants Australia & New Zealand stripping him of his membership of CAANZ. In December 2015 a CAANZ Appeals Tribunal upheld the Professional Conduct Tribunal’s findings but excused him from paying $3,100.00 towards the cost of the disciplinary action. Be the first to comment on "Raided Plutus accountancy has staffer with PAYG form"